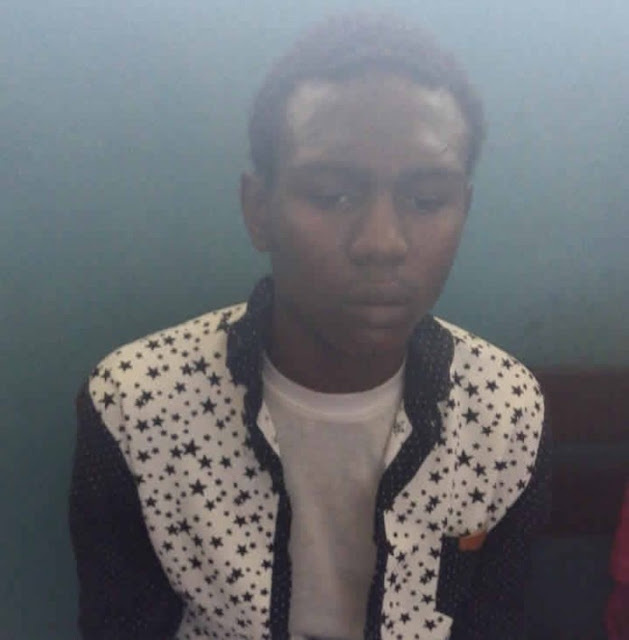 Fatai Sabitu, a 19-year-old vulcaniser who was alleged to have killed his friend, Yusuf Sheu, says he punched him only once. Sabitu, who hails from Abeokuta, Ogun State, explained that after the 38-year-old slumped, he rushed him to two different hospitals before he died. According to PUNCH Metro Sabitu and Sheu, had fought over a stolen phone.Sheu, a Kwara State indigene, bought a phone from the suspect, which was later discovered to have been stolen. After the real owner took back his phone, the deceased was said to have demanded a refund of his money, which led to a fight. The deceased was said to have slumped during the fight and was confirmed dead in a hospital. The suspect was said to have confessed to police detectives that he killed the victim, adding that he acted in self-defence.Sabitu, a primary school dropout, told our correspondent that he was a victim of bad companionship. He claimed that Sheu was the one who stole the phone, adding that after the owner found it and collected it back, the deceased attacked him.He said the deceased believed that he was the one who exposed him. “We have known each other for about three years now. I am a vulcaniser, and he worked in a hotel. We lived within the same community. He used to drink a lot and he introduced me to a lot of bad things, like the tattoo in my arm.